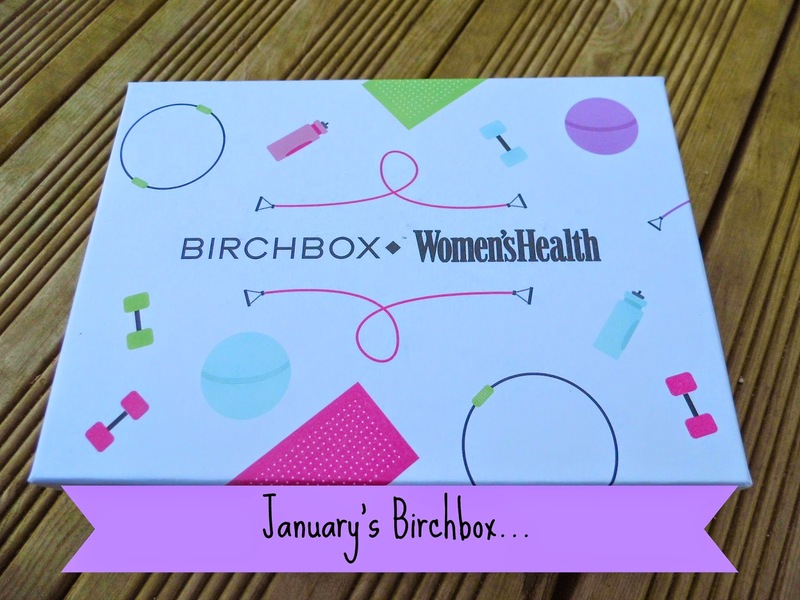 This month Birchbox have hooked up with Women’s Health Magazine to create the ‘Hit Refresh’ box, a box of revitalising treats to help you kick start the New Year! Stila Lip Glaze in the shade ‘glamour’ – which is a deep pink/purple tone that’s quite a neutral colour. I really like it and find the Stila Lip Glazes quite moisturising on my lips. Beauty Protector Protect and Detangle – Having fine hair that easily knots especially when it’s wet, I am pretty excited to see how this works on my locks! REN – Glycobiotic Radiance Renewal Mask- I’ve received this mask before and found it left my skin feeling lovely and clean so I’m happy to find it in this month’s box. HealGel Body – I have heard a lot about this body lotion but have not tried it yet – I’m intrigued to see how it works on my skin as I really suffer from dry skin during these cold winter months. Activbod Feel Great Shower Concentrate – this smells really refreshing, I can’t wait to try it in the shower! Embrace Matcha Green Tea – a powder you mix into hot water to create Green Tea. I drink a lot of fruit and herbal teas but I just can’t stand the taste of Green Tea! It’s gross! So I think I may be passing this a long to someone else to try out! Birchbox Pilates Band – I love that Birchbox now throw in a lifestyle treat to their boxes! I have recently started Pilates and love it so can’t wait to try this band out! For £10 plus £2.95p+p, it’s a pretty great box considering ill use the majority of the products received and am really pleased with it! As a bonus the theme really fits in with my motivated mind set at the moment. Do you receive any subscription boxes? This was an awesome box!! I got the beauty protector in my December box and LOVE it!! It was my favorite of all the products I got. That is so cool you got tea in this box! I'm so jealous!